Been asked to photograph someone's wedding? Congratulations! Do you have your wedding photography checklist ready? You'll naturally want to do a good job, but you may be unsure on what you need to take and who you're going to photograph. No problem! It's why these pages were written! 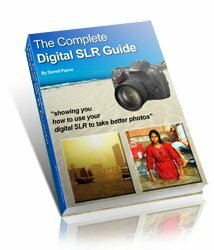 Here you will find a useful checklist covering who to photograph. But this wedding photography checklist goes further! 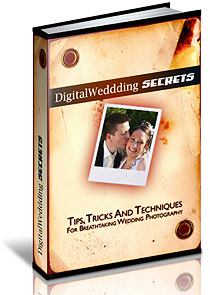 You will find checklists covering the other essentials a digital wedding photographer needs too. After all, not much point arriving with your list of subjects if you've forgotten to pack the memory cards! For further help and advice about posing the bride and groom, and in fact any other aspect of wedding photography, read on and I'll show you where to get the best, instantly downloadable, package. It covers all the wedding photography essentials (poses checklist, business agreements, wedding photographers secrets and more...). If it's just a simple wedding photography checklist you're after here's a printable checklist that covers everything you will need - including a list of subjects - for digital wedding photography. Black and white? Formal? Reportage (sometimes called photojournalistic wedding photography). If possible, meet the really important family members beforehand. Or maybe see some photos of them so that you recognize them on the day. If you can wander up to the father of the bride with a confident "Hi, Bill isn't it? You must be very proud. I'm your daughter's photographer". Bill will be chuffed to bits that you did a little research prior to his daughter's big day. This is an important part of your wedding photography checklist. And it has nothing to do with actually taking photographs! 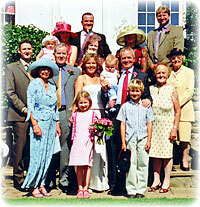 If your bride and groom are going for a really casual look then you might look a little out of place in a formal suit. And if they are going for the formal look themselves, then don't overdo it! You not there to out-shine the bride and groom. Do what is necessary in order to fit in nicely. NB:It is sometimes a good if you can stand out a little though. It marks you out as the photographer and people will know how to react to you. Of course, being weighed down like a pack-horse with camera equipment should mark you out to everyone, regardless of what you wear! It can be a little awkward to raise this, but it should be on every wedding photography checklist. If it's friends or family you are photographing this can be even more tricky. You won't want to rip them off, but equally, they won't want to rip you off either! Perhaps you only want to cover costs? Maybe your photos will be your gift to them? Whatever the situation it's important to come to an agreement, no matter how large or small. Make sure you have payment on your checklist, because people feel more comfortable when they know where they stand. It will also mark you out as more professional. If you want pre-written agreements that you can modify to your own needs (there's no point trying to re-invernt the wheel!) there are a selection in the wedding photographer's e-package. An important wedding photography tip - when completing your wedding photography checklist make sure you talk to the bride and groom - in advance! Always, always remember that it's their wedding, not yours. This applies no matter how close you are to the happy couple. The reason it is important to talk to them in advance is twofold. First, they may well be friends or relatives of yours, but they will still expect a certain level of professionalism from you. Going through your wedding photography checklist with them in advance is an important part of that professionalism. Second, it helps you to know exactly what is expected. This will come across on the wedding day itself. Especially to their guests, whom you probably don't know too well - if at all. Finally, make sure you go through the other aspects of the wedding photography checklist. Good luck! If you're well prepared it should go well. And if you are still a little unsure of yourself this complete wedding photographer's kit might just ease any sleepless nights!